In the coming months, I’m doing a series of presentations called Follow The Folio: A Look Inside The Book That Gave Us Shakespeare. Those of you who read my writing know that I’m intrigued by the quirks, oddities, and serendipities behind the great personalities and events of history – truth is almost always stranger and more amusing than anything I could make up! 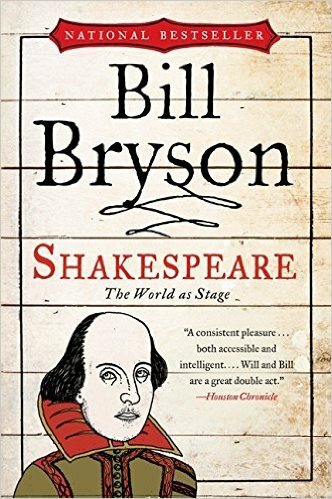 Reading anything by noted humorist and travel writer Bill Bryson is an absolute treat, so this slim but fact-packed biography of Shakespeare is a treasure for any fan of the Bard. With his typical wry wit, Bryson explores the scant facts about Shakespeare’s life, and looks into the world of drama, literature, and culture of 16th century England to highlight how much we know, and how much we don’t, about the life of the man who has become the face of English literature. 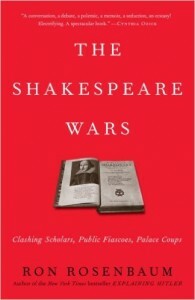 This marvelous book takes a deep, detailed look into the contentious world of Shakespeare scholarship. Far from a dull, dry subject, the word “war” in the title is not used lightly. The language used in this book, as various professors, linguists, and editors discuss one another’s work, is definitely at a “PG-13” level! 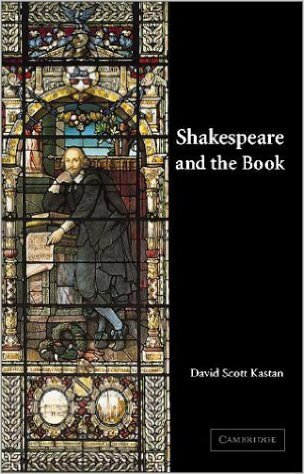 If you think that the text of Shakespeare’s works must be very well understood and agreed upon after 400+ years – this book will show you that there are tumultuous currents under the placid surface of Shakespeare studies. 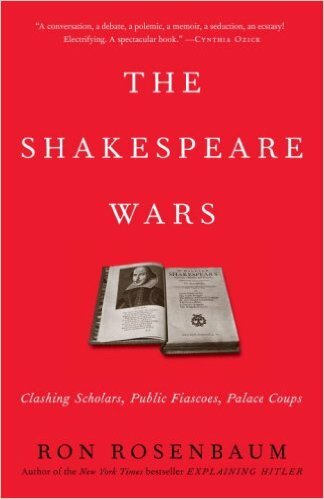 How did Shakespeare’s plays go from light “pop culture” fare to centerpieces of English literary canon? 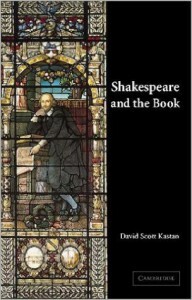 Kastan takes you through the fascinating history of Shakespeare in print as he tracks the Bard’s works from scrawled, handwritten scripts and quarto format (the “comic books” of the Elizabethan publishing world) to the only section in the bookstore with a single author’s name attached to it. 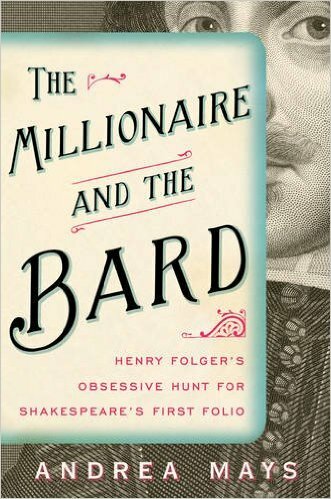 In the years of the early 20th century, Henry Folger, one of the top executives in the Standard Oil Corporation, launched a world-altering, obsessive campaign to collect Shakespeareana, including some (or, perhaps “all”) of the world’s remaining copies of the First Folio. 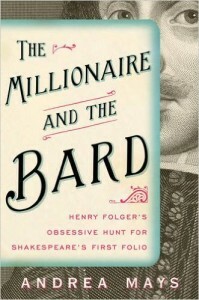 This book tells the remarkable story of how an amateur Shakespeare reader, coupled with one of the world’s great industrial fortunes, created the world’s largest repository of an English author’s works in Washington D.C. 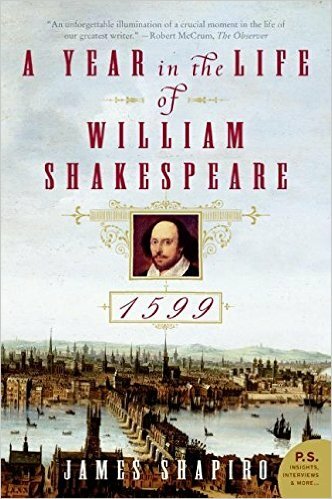 If you enjoy reading these books on Shakespeare, I do hope you’ll come to join me at one of the many free Follow The Folio talks I’ll be giving at various branches of the Public Library in the coming months. 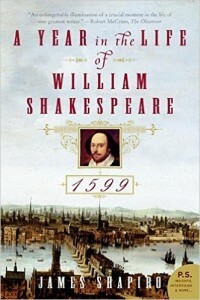 If you’ve been to one of my talks, and have come to this page to find my reading recommendations, I hope you’ll enjoy these books as much as I have, and discover much more about the fascinating (and quirky) history of Shakespeare and the First Folio.